May I introduce you to my dear Uncle Bill? He is a painter, potter, and lover of God’s good story. He has gifted his corner of Cleveland and the life of our family with beautiful pieces of art and the faithful prayers of one who lives and walks with Jesus. 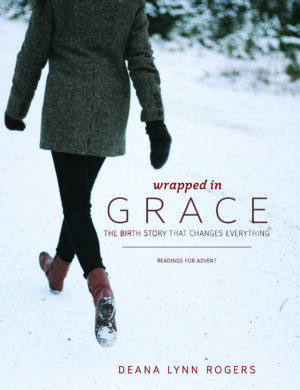 We talk a few times a month, and sometime in October he said, “Send me ten Wrapped in Grace books. I’d like to give them away to my friends as gifts for Advent.” Like I said … dear Uncle Bill. Just last Saturday he left me a message that he had received the books and already has six people in mind to give them to, and was sure that he’d find four others without a problem. And then he said, “My gosh, we are all so wrapped in grace by our merciful Father.” I wish you could hear the way he says it. I remember hearing him sing “ I love to tell the Story of Jesus and his love…” when I was a little girl,” and for my whole life he has been telling the old old story and loving every detail of it. It has become his story. 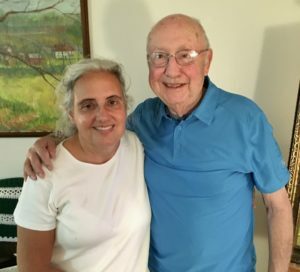 He is reopening his notes from 30 years of teaching Sunday School to lead a Bible study at his retirement center. And so, in honor of Uncle Bill and the story he loves to tell, there is a new coupon code for Wrapped in Grace: The Birth Story That Changes Everything. For $2 off on every book you order, just enter the coupon code: uncle bill. The first day of Advent is November 27th, so Thanksgiving is the ideal time to give your friends and family a copy of this Advent devotional and journal. I would love to get your copies in the mail as soon as possible! As always, if you are ordering 10 or more books, enter the coupon code: bookclub and get the books for $10 each.